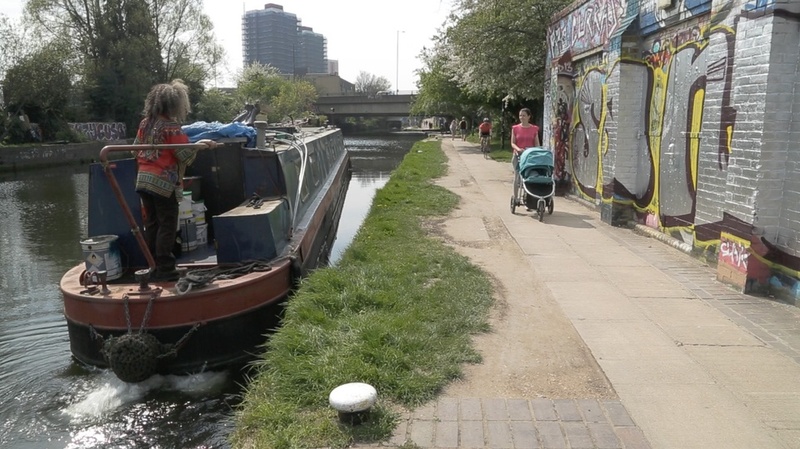 Having parted from her lover Floyd at the Filter beds and trudged lost and alone along the canal towpath, Saffron arrives at Hackney Wick where a festival is taking place, she walks through bunting-waving, dancing, singing performers, still oblivious and sad. 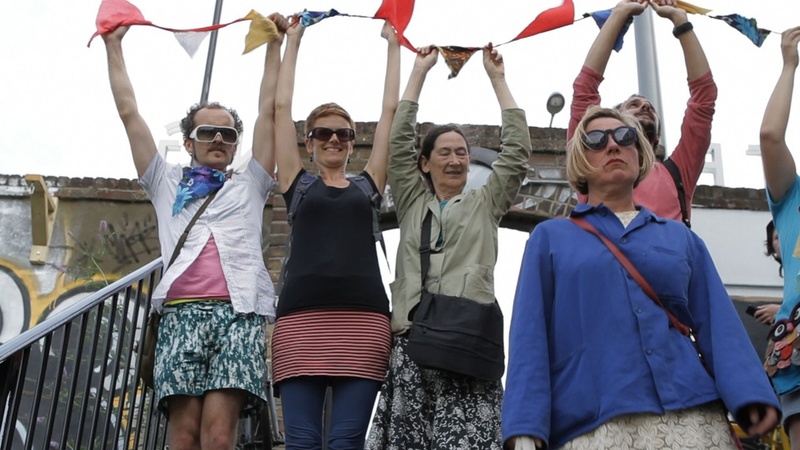 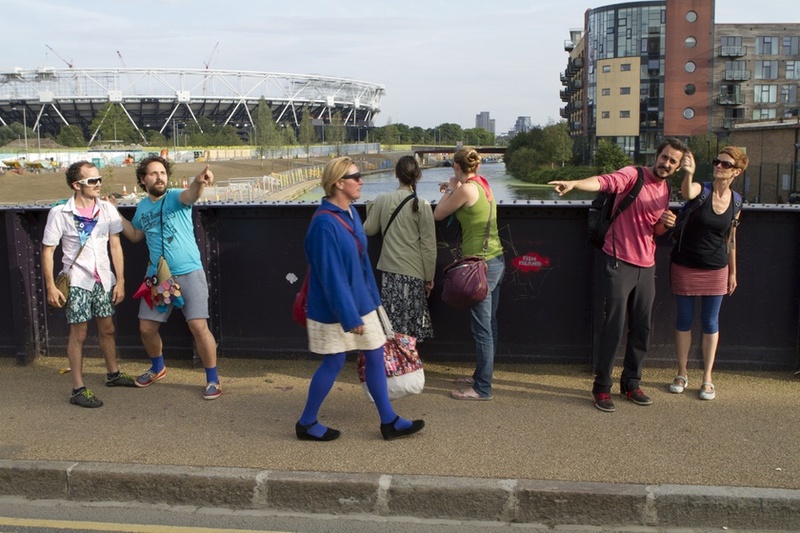 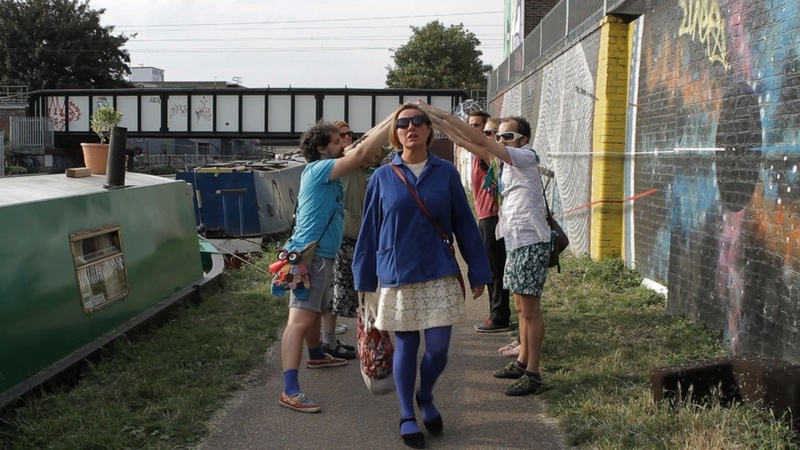 In July 2014 we were commissioned by the Hackney WickED Festival To perform and shoot a scene from multiple perspectives for I am not a Village, as an audience participatory promenade performance beginning on the towpath between Hackney Wick and the filter beds, and travelling through the Hackney Wicked festival in and out of selected studios. 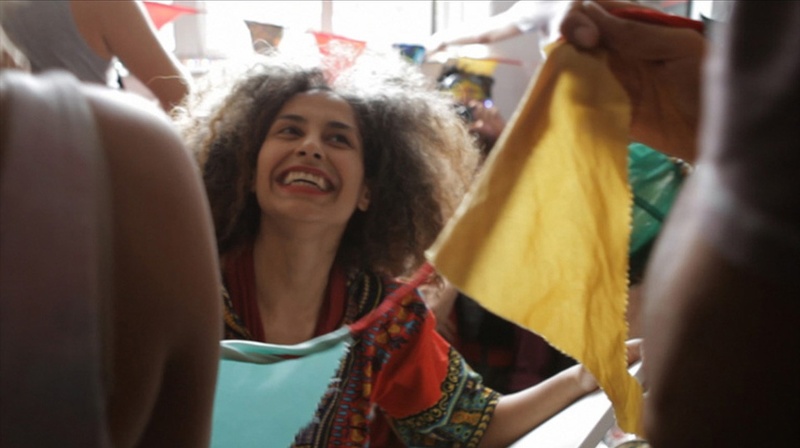 The audience participated in the shooting of the video using their own domestic devices. 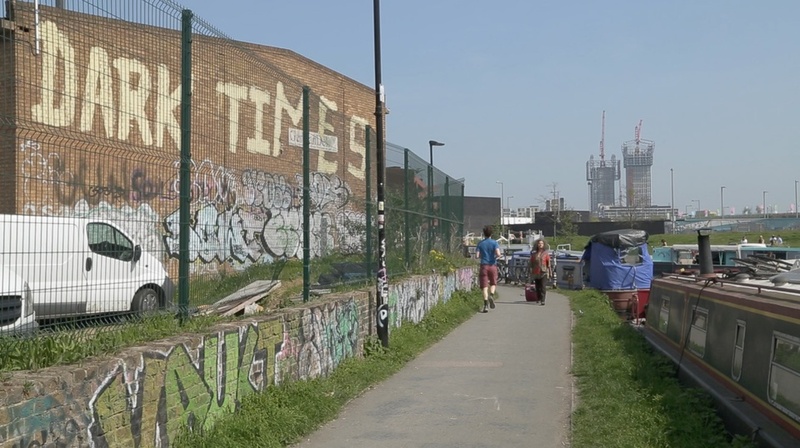 This scene introduces one of the lead characters, Beaver, played by Maryam Hashemi, who, at the time of shooting, had a studio in Hackney Wick.